The Met Office took an interest in wind-profile data from the NERC MST Radar since the early years of the Facility. They purchased 4 of their own boundary-layer wind-profilers (2 operating at 915 MHz and 2 at 1290 MHz), from Radian, in the late 1990's. One of these (a 915 MHz instrument) was operated at the NERC MST Radar site between 17th November 1999 and 11th March 2002; it has now been relocated to South Uist. These instrument make observations in two interlaced modes; the low mode covers the approximate altitude range 0.1 - 2.0 km at 0.1 km intervals, and the high mode covers the approximate altitude range 0.2 - 8.0 km at 0.2 km intervals. The useful altitude coverage varies with atmospheric conditions and only extends significantly above 2 km when precipitation is present. Although the cycle time for observations is of the order of a few minutes, as for the NERC MST Radar, the data used by the Met Office represent "consensus averages" over 30 minutes. The data from all 4 of the Met Office's boundary-layer wind-profilers are now available through a new dataset on the British Atmospheric Data Centre (BADC). 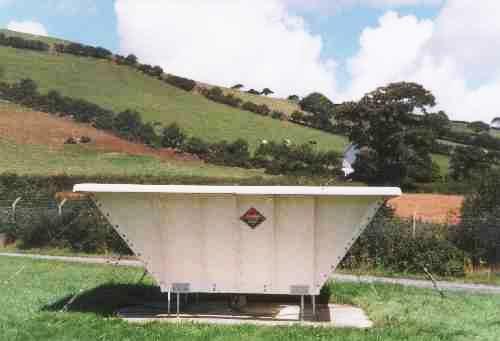 The data from the instrument which was operated at Capel Dewi are additionally available through the MST Radar Facility dataset. The new 1290 MHz UFAM (Universities' Facility for Atmospheric Measurement) boundary-layer wind-profiler arrived at the NERC MST Radar site in July 2002 and has been operated there in-between campaigns.